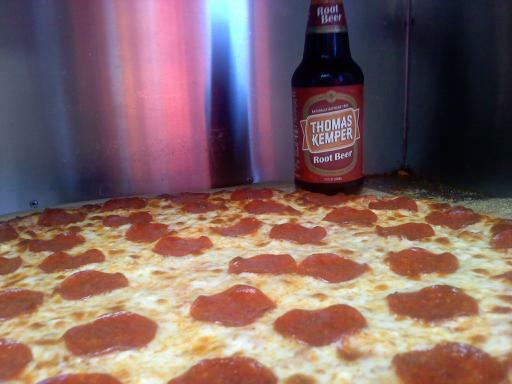 Root beer and pizza is a heavenly combo. Drinking 7up or Sprite with your pizza is like drinking a glass of Riesling with a rib eye. What I'm saying is have a root beer or a coke with your slice and you'll be happier. In other news: NBA playoffs, I love this game. Let's go Bulls. too bad my cavs just BEAT 'EM!! GO CAVS!! !